With this spooky supernatural novel of doppelgängers, sorcery, and demons, author Golden continues to play in the horror sandbox he returned to so superbly with 2014’s SNOWBLIND. Golden gives us a particularly frightening and vivid backstory to the events of the novel and caps it off with a thrilling climax. In between, he gives us what he knows readers are really interested in: convincing, well-drawn characters dealing with realistic issues in their lives — in this case, adults dealing with adult issues like divorce and parenting, which believe it or not is a breath of fresh air in a genre that is often so fascinated with youth and social transgression. DEAD RINGERS would make a good movie, in many ways a throwback to the more adult horror dramas of the 1970s like THE CHANGELING, but of course books don’t need film adaptations to validate them. DEAD RINGERS stands well on its own novelistic feet. If you liked SNOWBLIND, you’ll like this one, too. IN THE SHADOW OF THE AXE Available Now In E-Book Edition! But Kasch finds Helmburg is still a haunted village. The ghosts of the Necromancer’s victims have begun appearing at night, and the old survivors of the uprising are being killed one by one, their bodies chopped to pieces. With the help of Hahn Gehrig, the elderly village doctor, and Liese Maentel, Kasch’s childhood love, he sets out to discover if the Necromancer is still alive — which would prove once and for all that his father was no hero — or if someone else is responsible for the murders, a madman living among them with no conscience or mercy. The terrifying truth he uncovers will change Helmburg forever — because the past leaves a long shadow, and the axe has only just begun to fall. 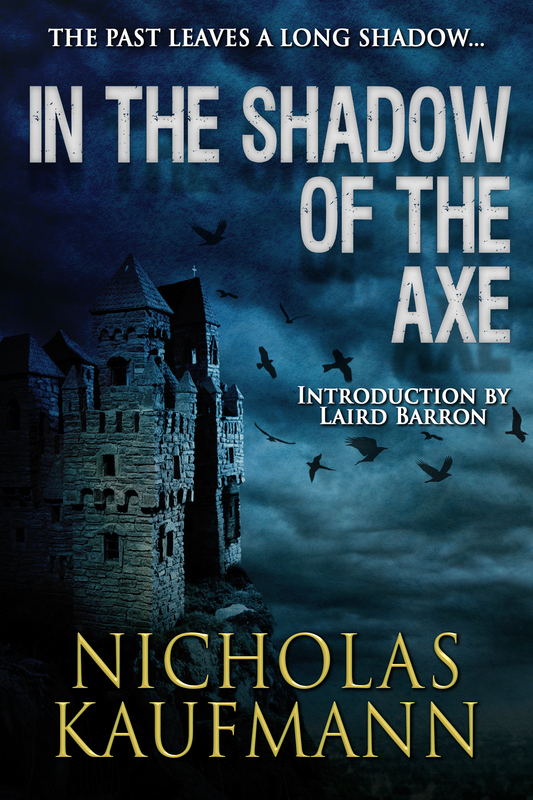 If you are a reviewer for a magazine, newspaper, website, podcast, etc., and are interested in receiving an electronic review copy of In the Shadow of the Axe, please feel free to contact me. Please note: I am only looking for professional review outlets at the moment. Goodreads reviews, Amazon reviews, social media reviews, and personal blog reviews are certainly welcome, but I can’t give away copies to readers at this time. Thanks, everyone, and I hope you enjoy my new novel! Coming soon. Very, very soon. Watch this space for more information. Copies of Dying Is My Business, Die and Stay Dead, and Chasing the Dragon will be available for sale at the event, but I’ll happily sign anything of mine that you bring, too! Don’t worry if you miss the window of my official signing, I’ll be at the festival all day and will be happy to sign your books whenever. Much of the first wave of urban fantasy and paranormal mysteries didn’t contain many characters that reflected the diverse nature of the real world. They tended to be white, middle class, and North American in both setting and population. A new wave of writers in these subgenres are exploring cities and characters that are more inclusive. Panelists will discuss approaches to broader perspectives, challenges they face, and the best works of urban fantasy that embrace the multicultural nature of our world. For more information, check out the festival’s Facebook page! I hope to see you there!